Exciting news theatre fans. One of the original "Kings Of Comedy" is headed to the Great White Way. 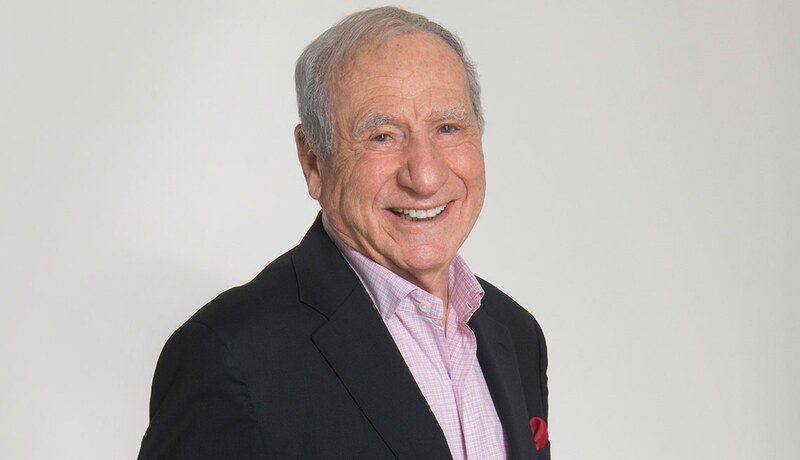 Mel Brooks, whose 2001 production of The Producers holds the record for the most Tony Awards in history, will play at the Lunt-Fontanne Theatre on June 7 and 8. The show, titled Mel Brooks on Broadway, is part of the brand new In Residence On Broadway series, which is being developed by Live Nation, The Araca Group, and Entertainment Benefits Group. Previous artists already announced are Morrisey May 2-11, Yanni May 28-June 2, Regina Spektor June 20-26, and Criss Angel July 2-7. Additional acts for the rest of July are set to be announced in the coming weeks. Oh and one more thing. We here at Applause, are selling tickets for each and every one of these events as well. Get your tickets to see all of these amazing artists at the Lunt-Fontanne Theaatre on Broadway. Until next time theatre fans. A few days ago, I posted a blog commenting on how this was one of the busiest week's on Broadway. This week alone, there are four shows opening, not too mention the Outer Critic's Circle and the Drama Desk nominations. Like I said theatre fans. It's been a busy week. Last night, one of this season's most highly anticipated new shows opened on Broadway. Tootsie, which is based on the award winning 1982 film, is one of the funniest shows that I have seen in years. But don't take my word for it. What did the critic's have to say? Let's find out. Now that is what I call some amazing reviews theatre fans. Here's hoping it translates to record breaking sales, and a slew of Tony nominations. I hope I didn't just jinx them. By the way, for those of you who want tickets to see this hilarious musical, you have come to the right place. We sell it. In fact if you call right now, you can get tickets to see Tootsie at some amazing prices. Be advised that while this "Special Offer" is good thru May 30, it is for select seats only, and as always subject to availability. Get your tickets to see Tootsie on Broadway at the Marquis Theatre. Until next time theatre fans. That's right theatre fans. Awards season is officially here. Just a couple of hours ago, the 2019 Outer Critic's Circle nominations were announced. Leading the pack with twelve nominations including Outstanding New Broadway Musical is Hadestown, followed by Tootsie with ten nominations. Coming in at third is the new Broadway revival of Oklahoma! with six nominations. Winners will be announced on May 13. Now on to the rest of this year's nominees. Well it sure has been a busy week on the Great White Way theatre fans. In the last week three shows opened, with three more set to open later this week. No surprise, as more shows open in March or April then in any other time of the year. Why you ask? It's simple. The closer your show opens to the Tony cutoff, the fresher you are in the minds of the Tony nominating community. Now back to the reason for today's blog. 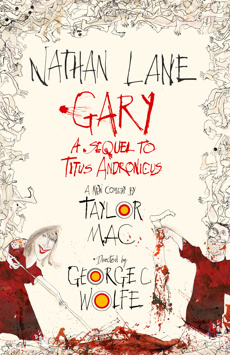 Gary: A Sequel To Titus Andronicus, which opened last night at the Booth Theatre, stars three-time Tony Award winner Nathan Lane, Tony Award nominee Kristine Nielsen, and Tony Award winner Julie White, with direction by five-time Tony Award winner George C. Wolfe. So what did the critic's have to say? Let's find out. What a great season theatre fans. Hard to believe it's been almost a year since this season began with the Broadway debut of Mort Crowley's landmark 1968 play The Boys in the Band, which opened at the Booth Theatre in May 2018. Now here we are in 2019, and the final show to open this season is Beetlejuice, which opens at the Winter Garden Theatre on April 25. Of the thirty-four productions that opened during the 2018-2019 season, eleven are new musicals, and fourteen are new plays. Now I have been selling tickets for over twenty-years now, and this is the first time in a long time where there has been a season with so many new works on Broadway. Trust me theatre fans. That's a good thing. 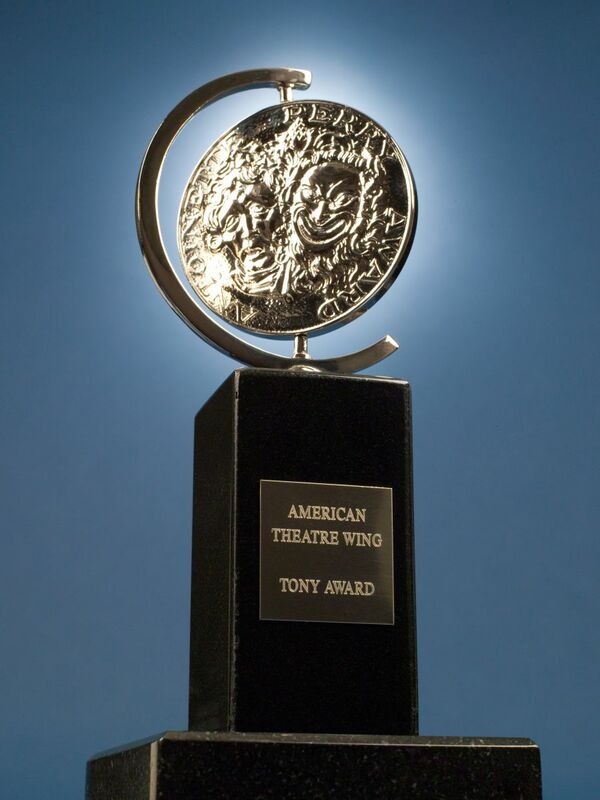 Nominations for this year's Tony Awards are set to be announced live on April 30 at 8:30am on CBS This Morning. Making the announcement are two-time Tony Award winner Bebe Neuwirth (Chicago), and Tony Award nominee Brandon Victor Dixon (Motown The Musical). Be sure to check out this website on April 30 for a complete list of this year's nominees. Until next time theatre fans. Believe it or not, but I have never been to London. Although I will say it is definitely at the top of my bucket list. Now clearly I am not the only one who is dying to visit "Merry Old England", because in the last few weeks, over half of our calls have been from customers looking for theatre tickets in the West End. In fact, just a few minutes ago, I got a call from a travel agent who's client needed five tickets each to two different shows at the Shakespeare's Globe. Now just in case you didn't know, there are over a hundred and ten different plays and musicals currently playing in London. That's even more than we have in New York City. I guess you can see why people love visiting so often right? It's one of the main reasons I want to go. Now besides some of the greatest plays by William Shakespeare, there are plenty of other amazing shows to see. One of the hottest musicals in London right now is Everybody's Talking About Jamie, which has been playing to sold out crowds at the Crucible Theatre in February 2017, before transferring to the larger Apollo Theatre in November of that year. Another one of London's most popular shows is Tina: The Tina Turner Musical, which is set to open here in October 2019. But what if musicals aren't your thing? Maybe you want to get tickets to see such long running plays like Agatha Christie's the Mousetrap or The Woman In Black. Or how about two of London's most popular comedies like The Comedy About A Bank Robbery or The Play That Goes Wrong? That's what is so great about the London Theatre. There is something for everybody. Not only that, but we sell tickets to each and every one of those shows. We also offer tickets to the ballet and the opera as well. Who knew? Also don't forget that we are open seven days a week. 365 days a year. That means we are always here to help with all of your ticket needs. Until next time theatre fans. Well the reviews are in theatre fans, and it looks like Broadway has another hit on it's hand. Hadestown, which first premiered Off-Broadway at the New York Theatre Workshop in the Summer of 2016, officially opened last night at the Walter Kerr Theatre on Broadway. So what did the critic's have to say? Let's find out. Now wait a minute. Surely it can't be Christmas already. I mean last time I checked, it was sixty-five degrees outside and sunny. Oh, now I get it. It's not Christmas yet. Well at least not for another eight months or so. It is however time to get your tickets to this years Radio City Christmas Spectacular. The show, which first premiered seventy-six years ago, will begin performances at the historic Radio City Music Hall on November 8, 2019, and play thru January 5, 2020. Not only that, but we are selling it. In fact, I just had my first sale today for Christmas Eve. Nothing like planning ahead I guess. 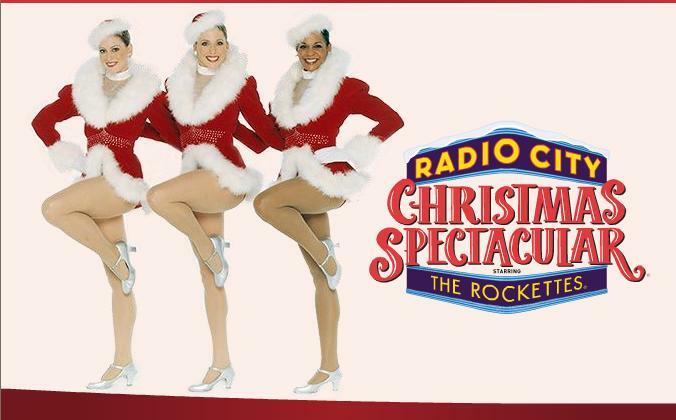 Get your tickets to see the Radio City Christmas Spectacular Starring the Radio City Rockettes. Your holidays won't be the same without it. Until next time theatre fans. It goes without saying that I am a huge basketball fan. Unfortunately I am a Knicks fan, which can be trying at times. Actually it's been trying for the past decade and a half. What can I say? I'm a glutton for punishment I guess. Now for those of you who are basketball fans like me, and want tickets to this years NBA Playoffs, you have come to the right place. Let me guess. You thought we only sold theatre tickets to New York and London didn't you? Well we don't. In fact, we sell tickets to events all around the United States. Who knew? Looking for tickets to see Penn and Teller in Las Vegas? No problem. Or maybe you want tickets to Cirque du Soleil? Did you know that there are seven different versions of that show playing year round in "Sin City"? Even I didn't know that. Now let's say that Vegas is not your cup of tea. Let's say that you love Broadway but you don't live in New York City. Well thankfully, most of the major shows tour all around the country. Not only that, but we sell each and every one of them.Want tickets to see Aladdin or Dear Evan Hansen? You want it. We got it. Plus not only do we have access to all shows and events in every state, but at prices that you will find lower than anywhere else. Also don't forget that Applause is open seven days a week. 365 days a year. That means we are always here to help with all your ticket needs. So why not give us a try? You'll be glad you did. Who doesn't love to eat? I know I sure do. Now in case you didn't know, New York City is the "Food Capitol of the World." In fact just a block away from my office, is Restaurant Row, which is home to over twenty-five of the most amazing restaurants you could find. That's a lot of food in a nine hundred foot radius. Growing up, I was always more of a meat and potatoes type of guy. Then I moved to New York, and my whole world changed. Now while I am probably the only New Yorker who doesn't like Chinese food, I do like sushi, and Thai food. I even like eggplant on my pizza now. Which by the way is something I never thought I would say. That's what is so great about New York. There truly is something for everyone. Of course the only question, is which one do you choose? Well have I got good news for you. Now you don't have too. Just call the experts at Applause and we will do the work for you. You see not only have we been to many of these restaurants, but we know which ones to avoid as well. Let's face it. There is nothing worse than going to a restaurant that looks good, and turns out to be a nightmare. Plus not only do we know the best places to eat, but also ones that won't cost you an arm and a leg. After all, who doesn't love a bargain? I know I sure do.Until next time food fans. Can you believe it's been almost three weeks since my last customer story? Now that doesn't mean we haven't had any customers since then. I mean if that was the case, I wouldn't have a job. It's just that there has been a lot of stuff going on with all the show openings, as well as several new shows being announced for next season. What can I say? April is a busy month on the Great White Way. Anyway, today's customer story comes all the way from the great state of Alabama. Montgomery to be exact. Earlier today, I received a call from a travel agent, who's client was coming to New York for Memorial Day weekend, and wanted to see a couple of shows while they were here. I asked her what they wanted to see, and their first choice is one of this season's biggest hits. Ain't Too Proud, a new musical based on The Temptations. Which I loved by the way. Their second choice is the Broadway revival of Terrence McNally's Frankie and Johnny in the Claire de Lune, starring six -time Tony Award winner Audra McDonald and Academy Award nominee Michael Shannon. Two good choices don't you think? After finding out what they wanted to see and when, I asked them where they wanted to sit, and most importantly how much they wanted to spend. Well as it turns out, they wanted Premium Orchestra for both shows. Oh sure, they're a little more expensive than other seats, but they are pretty amazing. In the end, I got them great seats for both shows, and at at price that was even lower than they were expecting. Another satisfied customer. Will you be next?